Securing access to besieged areas of Aleppo, increasing patrols around UN House in Juba, or ending refugee maltreatment in Australian detention centres in Nauru: the protection of civilians from immediate harm is one of the core tasks of the United Nations system. There are few issues for which UN actors are so frequently in the news. Senior UN officials routinely criticize state authorities and non-state actors responsible for violence against civilians. Too often, the UN are in the spotlight themselves because they failed to live up to the expectations and responsibilities related to the protection of civilians, for example at the protection of civilians site in Malakal, South Sudan in February this year. Research on how to better protect civilians from harm is essential in order to enable the UN to fulfil their charter-based mandate: creating a safer, fairer and more prosperous world for all. 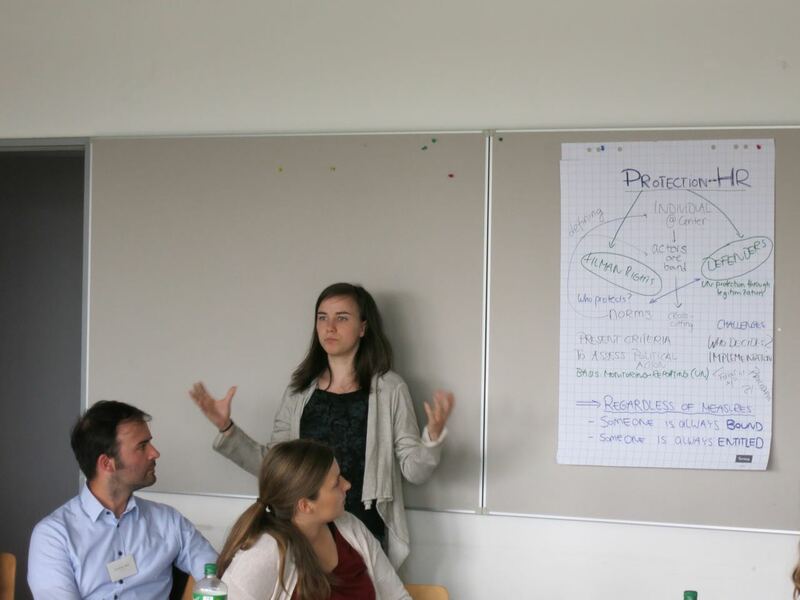 In this vein, we organized an expert workshop and network meeting on the common theme „Protecting civilians as system-wide challenge for the United Nations“, which took place from 15 to 17 July at the Technische Universitaet Braunschweig, Germany. It brought together around 20 junior scholars from Germany, Europe, the United States, and Brazil in order to facilitate academic exchange and build a network of scholars around the topic. The workshop was designed to take into account perspectives from three major policy fields: humanitarian action, peacekeeping, and human rights. It took place in the context of the German Association of the United Nations and its working group on young UN research. At a public panel discussion, a dedicated break-out session and the presentation of our own preliminary research, we discussed the distinction between the three policy fields of humanitarian action, peacekeeping, and human rights, as well as open questions and debates within those fields. As the workshop itself took place under Chatham House rules, we only quote from the public panel discussion, and provide a general sense of the discussion during the rest of the event. The official definition of protection approved by the Inter-Agency Standing Committee (IASC) for humanitarian action is much too broad for practical purposes. A tiered, increasingly ambitious understanding of protection is more helpful in that regard: ensuring access to humanitarian aid is the most basic definition of humanitarian protection, followed by ensuring access to protection services. More contentious are the roles humanitarian agencies can play in putting a stop to on-going rights violations, or even in furthering international criminal justice through witness statements and the collection of evidence. For Médecins Sans Frontières, protection frequently equates to really taking the principle of doing no harm seriously, said the director of the agency’s German chapter, Florian Westphal, at the panel discussion. Providing aid to displaced persons must not help armed groups locate them. The public and private advocacy that humanitarian organisations like MSF engage in always needs to make sure that people are actually better protected, even when the agencies want to ensure that they are not being seen as complicit with violations because of their (public) silence, Westphal argued. 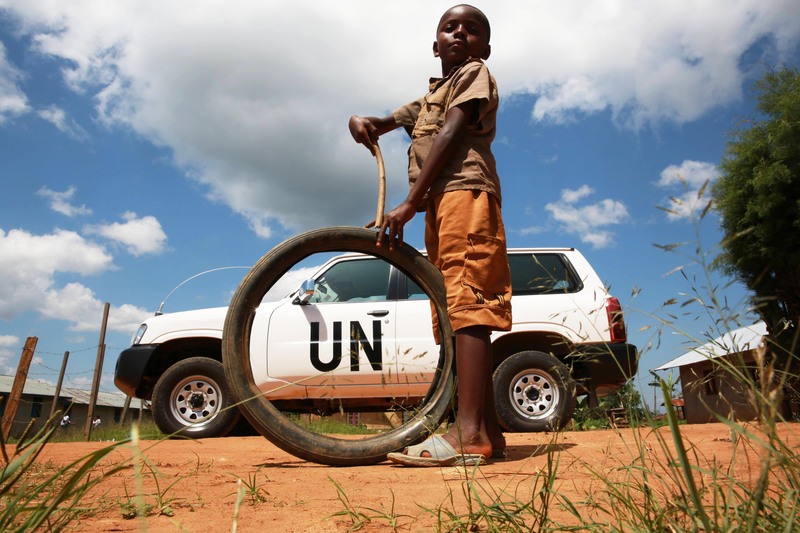 UN peacekeeping is a highly political undertaking, even if senior UN officials and member states don’t always recognize it as such, claimed Peter Schumann, former chief of staff of the UN Mission in Sudan and long-term UNDP staff member. As the UN peace operation in South Sudan showed, too often member states create over-ambitious mandates without sufficient resources and political backing to meet the high expectations that the mission will actually protect the population from immediate threats of violence. UN peacekeeping operates largely according to a short-term logic: creating physical security for civilians, responding to their immediate needs. This may sit uncomfortably with the long-term requirement to develop a political strategy, for which the military can create space and which helps the warring parties move to a peaceful way to settle their disputes. Moreover, rhetorical commitments to the effective protection of civilians and national policies of member states in the Security Council as well as of individual troop contributing countries may differ significantly. Germany’s recent evacuation of its police personnel that was supposed to protect women and children as part of the UN Mission in South Sudan was one example mentioned at the workshop. Human rights agencies have the most long-term perspective of the three policy fields. The Office of the High Commissioner of Human Rights (OHCHR), for example stresses not only that states have a primary responsibility to protect their populations from harm (as do humanitarian and peacekeeping actors). The methods OHCHR lists in its most recent management plan aim to enable rights-holders exercise their rights and to build the capacities of duty-bearers to guarantee fundamental human rights. Someone is always bound by human rights, and someone else is always entitled, as the break out group on human rights protection put it. However, some actors put themselves deliberately outside the international legal system, such as the so-called Islamic State or North Korea. Protecting those who defend human rights on the ground is an important, concrete task for international actors such as peace brigades international, said Christiane Schultz, who founded the organisation’s German section. The Committee on enforced disappearances can issue urgent measures, for example, and conduct country visits to raise individual cases and instigate structural change. Over the three-day workshop, it became clear that protecting populations from harm is a hugely ambitious and complex undertaking. In all policy fields, there are gaps between rhetorical commitments and implementing promises on the ground. There can be differences between individual mandate-holders, national peacekeeping contingents, missions, institutions, and policy fields. The main impediment to better protection are not the differences about the meaning, methods and objectives of protection per se – they are the natural and inevitable consequence of varying mandates and contexts. Rather, it is the lack of mutual understanding that leads to gaps in the protection architecture. It also misses out on opportunities to jointly tackle common challenges and recognise each other’s complementarity, in full recognition of their distinct mandates. Thus, there is much to learn from each other. Academic and policy exchange on the theme of protecting civilians from harm needs to intensify (for example here). Gerrit promoviert in War Studies am King's College London und ist non-resident Fellow beim Global Public Policy Institute (GPPi) in Berlin. Er hat Internationale Beziehungen, Volkswirtschaftslehre und Völkerrecht in Passau, Grenoble, Berlin und Potsdam studiert. Seine wichtigsten Forschungsfelder sind die Vereinten Nationen (Sicherheitsrat, Sanktionen), nicht-staatliche Gewaltakteure, Südasien, globale Normen und Diplomatie.